← Winter is coming are you ready? With 10,000 people turning 65 in the good old US of A everyday, there will be some serious financial stress placed on families. You need to know: What is a Reverse Mortgage? A Reverse Mortgage is a special type of loan for people 62 or older. The home serves as collateral, as in any mortgage, but thanks to government-mandated provisions, the homeownership is protected. How does a Reverse Mortgage protect my heirs and me? The older we get, the less risk we should take; the better we should protect our health, family, home and financial situation. Protection is one of the key elements of the Reverse Mortgage. Your home is protected. With a Reverse Mortgage you remain the owner and you keep title to your home. The Reverse Mortgage has been designed to allow homeowners to stay in the home, own the home, and still enjoy the assets of the home while living in it. The protection of homeownership is the highest priority of the Reverse Mortgage. You keep title to the home. You are the owner as long as you or your spouse lives in the home. You never have to make monthly payments to the lender. No payments are due as long as you or your spouse live in the house. The Reverse Mortgage, with accrued interest, becomes due when neither you nor your spouse live in the home anymore. You never owe more than the value of the home. Should the outstanding amount of your Reverse Mortgage exceed the value of your home, the Federal Government’s insurance will kick in and cover the difference – you never owe more than the value of your home. You enjoy the full appreciation of the home. When you pay back the Reverse Mortgage, your equity is the difference between the value of the home and the accrued balance of the Reverse Mortgage. Thus, if the value of your home appreciates, you enjoy all the appreciation. How does a Reverse Mortgage help me with cash? Three ways to get cash from a Reverse Mortgage. A lump sum upfront is often used to pay off an existing mortgage, or expensive credit card debt or unexpected bills. 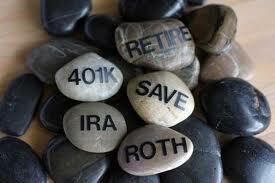 Supplement your pension or social security income. A line of credit is a financial safety net; it provides instant access to cash whenever you need it. You are free to do whatever you want with the cash from a Reverse Mortgage. It is your money; there are no restrictions on what you do with the cash from the Reverse Mortgage. Use it for your health and well-being, your travels, your grandchildren…. It’s your choice. All proceeds that you receive through a Reverse Mortgage are tax free. The proceeds you receive from a Reverse Mortgage are not taxed and will not move you into a higher tax bracket. Your social security payments continue. They are not impacted by a Reverse Mortgage. Legally you are tapping equity and not receiving income, so social security payments are not affected. However, Medicaid or other complementary programs may be affected in certain situations. As always, consult a specialist. Reverse Mortgages are quite easy to qualify for. The youngest of the borrowers has to be at least 62 years old. You must own a home to qualify for a Reverse Mortgage. If there is a mortgage or other lien against the home, this has to be paid back with the Reverse Mortgage. The home may also require some repairs. In most situations, these may be paid from the Reverse Mortgage. There is no income requirement, nor is the Reverse Mortgage affected by your credit rating. However if you ever defaulted on a federal loan, this may disqualify you from a Reverse Mortgage. You should definitely talk with an experienced specialist. There may be other causes that may disqualify you or may make the Reverse Mortgage an unattractive solution. If you have any questions, start planning now when the waters are calm. Do not wait for rough seas! I have the perfect contact for you thanks to Colleen Rideout crideout@s1l.com, she can make it all come true for you! This entry was posted in Denver, Denver Housing, Mortgage, Mortgage Interest Deduction MID, Reverse Mortgage and tagged Federal government of the United States, Home, Loan, Lump sum, Medicaid, Owner-occupier, Reverse Mortgage, United States Department of Housing and Urban Development. Bookmark the permalink. 1 Response to How Many Seniors Turn 65 Each and Everyday?